Clement Richard Attlee, 1st Earl Attlee, KG , OM , CH , PC , FRS (3 January 1883 – 8 October 1967) was a British statesman and Labour Party politician who served as Prime Minister of the United Kingdom from 1945 to 1951. The Churchill war ministry was the United Kingdom's coalition government for most of the Second World War from 10 May 1940 to 23 May 1945. It was led by Winston Churchill, who was appointed Prime Minister by King George VI following the resignation of Neville Chamberlain in the aftermath of the Norway Debate. Limehouse was a borough constituency centred on the Limehouse district of the East End of London. It returned one Member of Parliament (MP) to the House of Commons of the Parliament of the United Kingdom. James Ramsay MacDonald was a British statesman who served twice as Prime Minister of the United Kingdom, firstly for nine months in 1924 and then again between 1929 and 1935. He was the first Labour Party politician to become Prime Minister, leading minority Labour governments in 1924 and in 1929–31. He headed a National Government from 1931 to 1935, dominated by the Conservative Party and supported by only a few Labour members. MacDonald was later vehemently denounced by and expelled from the party he had helped to found. The government he led built the post-war consensus, based upon the assumption that full employment would be maintained by Keynesian policies and that a greatly enlarged system of social services would be created – aspirations that had been outlined in the 1942 Beveridge Report. Within this context, his government undertook the nationalisation of public utilities and major industries, as well as the creation of the National Health Service. Attlee himself had little interest in economic matters but this settlement was broadly accepted by all parties for three decades. 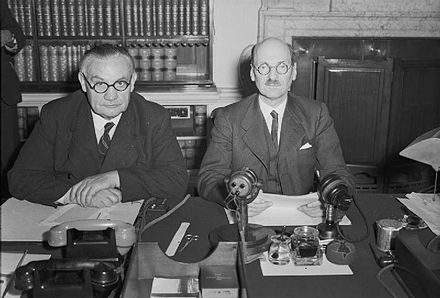 Foreign policy was the special domain of Ernest Bevin, but Attlee took special interest in India. He supervised the process by which India was partitioned into India and Pakistan in 1947. He also arranged the independence of Burma (Myanmar), and Ceylon (Sri Lanka). His government ended the British Mandates of Palestine and Jordan. From 1947 onwards, he and Bevin pushed the United States to take a more vigorous role in the emerging Cold War against Soviet Communism. When the budgetary crisis forced Britain out of Greece in 1947, he called on Washington to counter the Communists with the Truman Doctrine. He avidly supported the Marshall Plan to rebuild Western Europe with American money. In 1949, he promoted the NATO military alliance against the Soviet bloc. He sent British troops to fight in the Malayan Emergency in 1948 and sent the RAF to participate in the Berlin Airlift. He commissioned an independent nuclear deterrent for the UK. He used 13,000 troops and passed special legislation to promptly end the London dock strike in 1949. After leading Labour to a narrow victory at the 1950 general election, he sent British troops to fight in the Korean War. Attlee was narrowly defeated by the Conservatives under Churchill in the 1951 general election. He continued as Labour leader but had lost his effectiveness by then. He retired after losing the 1955 general election and was elevated to the House of Lords. The post-war consensus is a historian's model of political co-operation in post-war British political history, from the end of World War II in 1945 to the late-1970s, and its repudiation by Conservative Party leader Margaret Thatcher. Majorities in both parties agreed upon it. The consensus tolerated or encouraged nationalisation, strong trade unions, heavy regulation, high taxes, and a generous welfare state. Keynesian economics are a group of various macroeconomic theories about how in the short run – and especially during recessions – economic output is strongly influenced by aggregate demand. In the Keynesian view, aggregate demand does not necessarily equal the productive capacity of the economy; instead, it is influenced by a host of factors and sometimes behaves erratically, affecting production, employment, and inflation. In public, Attlee was modest and unassuming; he was ineffective at public relations and lacked charisma. His strengths emerged behind the scenes, especially in committees where his depth of knowledge, quiet demeanour, objectivity, and pragmatism proved decisive. His achievements in politics owed much to lucky breaks and the unsuitability of his rivals. He saw himself as spokesman on behalf of his entire party and successfully kept its multiple factions in harness. Attlee is consistently rated by scholars, critics and the public as one of the greatest British Prime Ministers. 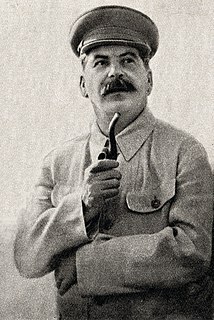 His reputation among scholars in recent decades has been much higher than during his years as Prime Minister, thanks to his roles in leading the Labour Party, creating the welfare state and building the coalition opposing Stalin in the Cold War. The welfare state is a form of government in which the state protects and promotes the economic and social well-being of the citizens, based upon the principles of equal opportunity, equitable distribution of wealth, and public responsibility for citizens unable to avail themselves of the minimal provisions for a good life. Historically, late-19th-century Imperial Germany (1871–1918) was the first welfare state, which Chancellor Otto von Bismarck established with the social-welfare legislation that extended the privileges of the Junker social class to ordinary Germans. Sociologist T. H. Marshall described the modern welfare state as a distinctive combination of democracy, welfare, and capitalism. Attlee was born on 3 January 1883 in Putney, Surrey (now part of London), into a middle-class family, the seventh of eight children. His father was Henry Attlee (1841–1908), a solicitor, and his mother was Ellen Bravery Watson (1847–1920), daughter of Thomas Simons Watson, secretary for the Art Union of London. He was educated at Northaw School, a boys' preparatory school near Pluckley in Kent; Haileybury College; and University College, Oxford, where in 1904 he graduated as a Bachelor of Arts with second-class honours in modern history. There is also a statue of Clement Attlee in the Houses of Parliament  that was erected, instead of a bust, by parliamentary vote in 1979. The sculptor was Ivor Roberts-Jones. ↑ "British Labour Party election manifesto, 1945 [archived]" . Retrieved 9 January 2016. The 1955 United Kingdom general election was held on 26 May 1955, four years after the previous general election. It resulted in a substantially increased majority of 60 for the Conservative government under new leader and prime minister Sir Anthony Eden against the Labour Party, then in its twentieth year of leadership by Clement Attlee. Sir Richard Stafford Cripps, was a British Labour politician of the first half of the twentieth century. Edward Hugh John Neale Dalton, Baron Dalton, was a British Labour Party economist and politician who served as Chancellor of the Exchequer from 1945 to 1947. He shaped Labour Party foreign policy in the 1930s, opposing pacifism and promoting rearmament against the German threat, and strongly opposed the appeasement policy of Prime Minister Neville Chamberlain in 1938. Dalton served in Winston Churchill's wartime coalition cabinet; after the Dunkirk evacuation he was Minister of Economic Warfare, and established the Special Operations Executive. As Chancellor, he pushed his policy of cheap money too hard, and mishandled the sterling crisis of 1947. His political position was already in jeopardy in 1947, when, he, seemingly inadvertently, revealed a sentence of the budget to a reporter minutes before delivering his budget speech. Prime Minister Clement Attlee accepted his resignation; Dalton later returned to the cabinet in relatively minor positions. James Chuter Ede, Baron Chuter-Ede, was a British teacher, trade unionist and Labour politician. 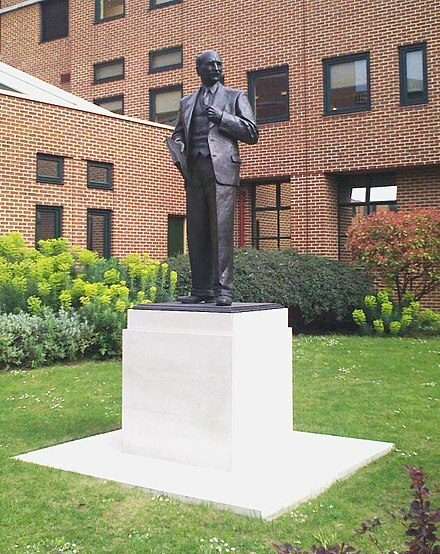 He served as Home Secretary under Prime Minister Clement Attlee from 1945 to 1951, becoming the longest-serving Home Secretary of the 20th century. Albert Victor Alexander, 1st Earl Alexander of Hillsborough, was a British Labour Co-operative politician. He was three times First Lord of the Admiralty, including during the Second World War, and then Minister of Defence under Clement Attlee. William Allen Jowitt, 1st Earl Jowitt, was a British Labour politician and lawyer, who served as Lord High Chancellor of Great Britain under Clement Attlee from 1945 to 1951. George Henry Hall, 1st Viscount Hall, PC was a British Labour politician. He served as Secretary of State for the Colonies between 1945 and 1946 and as First Lord of the Admiralty between 1946 and 1951. George Mathers, 1st Baron Mathers KT, PC, DL was a Scottish trade unionist and Labour Party politician. He served as Comptroller of the Household from 1944 to 1945 in Winston Churchill's war-time coalition government and as Treasurer of the Household from 1945 to 1946 in Clement Attlee's post-war Labour administration. George Tomlinson was a British Labour Party politician. The Ministry of Defence was a department of the British Government responsible for defence and the British Armed Forces. 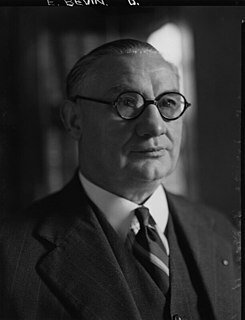 Herbert Stanley Morrison, Baron Morrison of Lambeth, was a British Labour politician who held a variety of senior positions in the Cabinet. The Burma Independence Act 1947 is an Act of the Parliament of the United Kingdom that conferred independence on Burma, today called Myanmar. 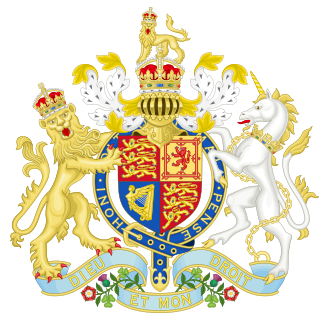 The Act received the royal assent on 10 December 1947. The independent Union of Burma came into being on 4 January 1948. ↑ Pearce 1997, p. 2. ↑ Davies, Edward J. "The Ancestry of Clement Attlee", Genealogists' Magazine, 31(2013–15): 380–87. ↑ Beckett 1998, p. 17. ↑ Beckett 1998, pp. 18–35. ↑ Beckett 1998, pp. 34–43. ↑ Beckett 1998, pp. 43–45, 52. ↑ Beckett 1998, pp. 47–50. ↑ Beckett 1998, p. 46. ↑ Beckett 1998, pp. 50–51. ↑ The National Archive WO 95/101 War History of 10th Battalion, Tank Corps, pp. 1–2. ↑ Beckett 1998, pp. 55–58. ↑ Bew, Clement Attlee pp 115–18. ↑ "Janet Helen Attlee Shipton – Obituaries – Standard Examiner". ↑ "Janet Attlee's wedding 1947". British Pathe. ↑ "Felicity Attlee weds 1955". British Pathe. ↑ "DAVIS – Deaths Announcements – Telegraph Announcements". ↑ "Mr. Attlee's Daughter Weds – Alison Attlee… 1952". British Pathe. Retrieved 25 March 2016. ↑ Beckett 1998, pp. 62–63. ↑ The Social Worker Attlee (pg. 30), archive.org; accessed 25 March 2016. ↑ The Social Worker Attlee (pg. 75), archive.org; accessed 25 March 2016. ↑ Beckett 1998, p. 122. 1 2 3 4 5 6 Howell, David. (2006) Attlee (20 British Prime Ministers of the 20th Century), Haus Publishing; ISBN 1-904950-64-7. ↑ Rennie, John. "Lansbury v Morrison, the battle over Poplarism". eastlondonhistory.com. Retrieved 28 July 2017. ↑ Beckett 1998, pp. 74–77. ↑ Beckett 1998, pp. 80–82. ↑ Beckett 1998, pp. 83–91. ↑ Brasted Howard, Bridge Carl (1988). "The British Labour Party and Indian Nationalism, 1907‐1947". South Asia: Journal of South Asian Studies. 11 (2): 69–99. doi:10.1080/00856408808723113. ↑ Beckett 1998, pp. 96–99. ↑ Beckett 1998, pp. 101–102. ↑ Contains excerpt from Attlee's biography towards the bottom of the page; accessed 26 July 2017. ↑ Beckett 1998, pp. 104–105. ↑ Beckett 1998, pp. 108–109. ↑ Beckett 1998, pp. 112–113. ↑ Attlee, Clement (18 February 1952). "Tribute from Labor's Attlee to George and the monarchy". Life . Vol. 32 no. 7. It was my privilege for six years to serve King George as First Minister of the Crown and for five years during the war as Deputy Prime Minister. The longer I served him the greater was my respect and admiration for him. I can never forget his kindness and consideration to me. He had a great sense of duty, high courage, good judgment and warm human sympathy. He was in the fullest sense of the term a good man. ↑ Bew (2017). Clement Attlee. pp. 23, 173–188, 208. ↑ Beckett 1998, pp. 116–117. ↑ Thomas-Symonds 2012, pp. 68–70. ↑ Beckett 1998, pp. 121–130. ↑ Rhiannon Vickers (2013). The Labour Party and the World, Volume 1: The Evolution of Labour's Foreign Policy, 1900–51. Manchester UP. p. 92. ↑ Talus, Your Alternative Government (London: Eyre and Spottiswoode, 1945), p. 17. ↑ "Defence". 299 cc35-174. Commons and Lords Hansard. 11 March 1935. Retrieved 20 March 2013. ↑ "Defence Policy". 302 cc359-486. Commons and Lords Hansard. 22 May 1935. Retrieved 20 March 2013. ↑ "Mr. Attlee on a war budget", The Times, 23 April 1936, p. 16. ↑ "MR. DUFF COOPER'S SPEECH" . Retrieved 9 January 2016. ↑ Beckett 1998, pp. 131–134. ↑ "Prime Minister's Statement". Commons and Lords Hansard. 3 October 1938. Retrieved 20 March 2013. ↑ Beckett 1998, pp. 134–135. ↑ Beckett 1998, pp. 140–141. ↑ Syal, Rajeev (20 November 2018). "Clement Attlee took in Jewish child refugee who fled Nazis". The Guardian. Retrieved 20 November 2018. ↑ "The Norway Campaign in World War Two". BBC. 30 March 2011. Retrieved 2 October 2011. ↑ Beckett 1998, pp. 157–158. ↑ Beckett 1998, pp. 163–164. ↑ Beckett 1998, p. 164. ↑ Crowcroft, Robert. "Clement Attlee: enigmatic, out of time – and formidable". Gov.uk. Retrieved 3 August 2017. ↑ Quoted by Paul Addison in V. Bogdanor (2016). From New Jerusalem to New Labour: British Prime Ministers from Attlee to Blair. p. 9. ↑ Steven Fielding, "What did ‘the people’want? : the meaning of the 1945 general election." Historical Journal 35#3 (1992): 623–639. 1 2 3 Addison, Dr Paul. "Why Churchill Lost in 1945". BBC History. Retrieved 9 August 2017. ↑ The Manchester Guardian 4 July 1945. ↑ Kynaston, David (2008). Austerity Britain 1945–51. London: Bloomsbury Publishing. pp. 70–71. ISBN 978-0-7475-9923-4. 1 2 R. C. Whiting, "Attlee, Clement Richard, first Earl Attlee (1883–1967)", Oxford Dictionary of National Biography, 2004. ↑ "VOTE2001 – THE ELECTION BATTLES 1945–1997". BBC News. ↑ Kynaston, David (2010). Austerity Britain, 1945–1951. Bloomsbury Publishing. p. 75. ISBN 9780802779588. ↑ Rachel Reeves, and Martin McIvor. 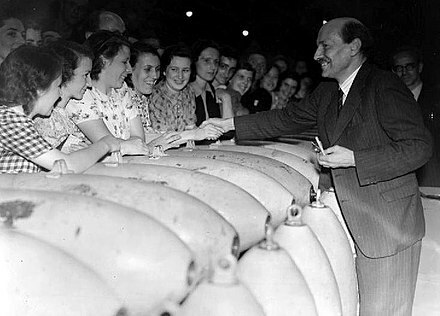 "Clement Attlee and the foundations of the British welfare state." Renewal: a Journal of Labour Politics 22#3/4 (2014): 42. ↑ Francis, Martin. "Economics and Ethics: The Nature of Labour's Socialism, 1945–1951", Twentieth Century British History (1995) 6#2, pp 220–43. ↑ Alec Cairncross (2013). Years of Recovery: British Economic Policy 1945–51. p. 49. 1 2 3 Jefferys, Kevin. The Attlee Governments, 1945–1951. ↑ "HC S Budget Resolution and Economic Situation". Margaret Thatcher Foundation. 5 May 1966. Retrieved 20 March 2013. 1 2 Harmer, Harry. The Longman Companion to The Labour Party 1900–1998. 1 2 3 Pritt, Denis Nowell. The Labour Government 1945–51. ↑ Miller, George (1 January 2000). On Fairness and Efficiency: The Privatisation of the Public Income Over the Past Millennium. Bristol, UK: The Policy Press. p. 172. ISBN 9781861342218 . Retrieved 21 July 2012. ↑ Socially Deprived Families in Britain (edited by Robert Holman), first published in 1970 (reprinted edition 1971). ↑ "Who, What, Why: Why do the rich get child benefit?". BBC News. 4 October 2010. ↑ "An Assessment of the Attlee Government". Google. Retrieved 21 July 2012. ↑ Waltman, Jerold L. (2004). The Case for the Living Wage. Algore Publishing. p. 199. ISBN 9780875863023 . Retrieved 21 July 2012. ↑ J.P. Lawton (April 1950). "Married Women (Maintenance) Act, 1949". The Modern Law Review. Wiley. 13 (2): 220–222. JSTOR 1089590. ↑ "Mulberry". Learningeye.net. 9 October 2004. Retrieved 21 July 2012. ↑ Hollowell, J. (2008). Britain Since 1945. Wiley. p. 180. ISBN 9780470758175 . Retrieved 5 October 2014. 1 2 3 4 Francis, Martin. Ideas and Policies Under Labour, 1945–1951. ↑ "The Women's Library Special Collections Catalogue". Calmarchive.londonmet.ac.uk. 9 July 1952. Archived from the original on 19 April 2013. Retrieved 20 March 2013. ↑ Labour and Inequality: Sixteen Fabian Essays (edited by Peter Townsend and Nicholas Bosanquet). ↑ Squires, Graham (21 August 2012). "Urban and Environmental Economics: An Introduction". ISBN 9781136791000. ↑ Townsend, Peter. Poverty in the United Kingdom: A Survey of Household Resources and Standards of Living. ↑ Hicks, Alexander M. Social Democracy & Welfare Capitalism: A Century of Income Security Politics. ↑ Beaumont, Phil B. (1987). The Decline of Trade Union Organisation. Croom Helm. ISBN 9780709939580 . Retrieved 20 March 2013. ↑ Asplund, Rita, ed. (1998). Flexibility in the Nordic Labour Market. 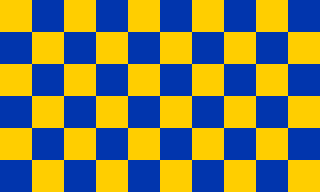 Nordic Council of Ministers. p. 119. ISBN 9789289302579 . Retrieved 20 March 2013. ↑ "Google Drive Viewer". Google. 5 December 2008. Retrieved 20 March 2013. ↑ "MIDLANDS ELECTRICITY BOARD (WORKERS' PENSION SCHEME) (Hansard, 21 November 1957)". Hansard.millbanksystems.com. 21 November 1957. Retrieved 21 July 2012. ↑ "DWP IIAC Cm 6553 1805" (PDF). July 2005. Retrieved 20 March 2013. ↑ "Working Time Directive" (PDF). 19 November 1996. Retrieved 20 March 2013. ↑ Fraser, W. Hamish. A History of British Trade Unionism, 1700–1998. ↑ "DOCK WORKERS (PENSIONS) BILL (Hansard, 11 May 1960)". Hansard.millbanksystems.com. 11 May 1960. Retrieved 2 October 2011. ↑ Harrison, Brian (26 March 2009). 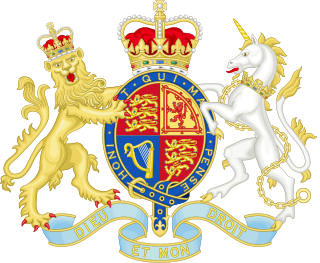 Seeking a Role: The United Kingdom 1951–1970. Oxford, UK: Oxford University Press. ISBN 9780191606786 . Retrieved 20 March 2013. ↑ "Ken Loach's film – The Spirit Of '45 – How We Did it". thespiritof45.com. Archived from the original on 5 November 2013. Retrieved 5 October 2014. ↑ "POLICE PENSIONS REGULATIONS (Hansard, 29 June 1949)". Hansard.millbanksystems.com. 29 June 1949. Retrieved 21 July 2012. 1 2 3 4 Morgan 1984. ↑ "HC S National Insurance (Colliery Workers)". Margaret Thatcher Foundation. 15 March 1965. Retrieved 21 July 2012. ↑ Eggar, Tim (22 November 1994). "The Industry-Wide Mineworkers' Pension Scheme Regulations 1994". Legislation.gov.uk. Retrieved 21 July 2012. 1 2 Fifty Facts for Labour, published by the Labour Party, Transport House, Smith Square, London, SW1, October 1951. ↑ "Labour's rural legacy under threat". 29 April 2013. Retrieved 9 January 2016. ↑ Pelling, Henry. The Labour Governments, 1945–51. ↑ Cawood, Ian. Britain in the Twentieth Century. 1 2 Shaw, Eric. The Labour Party since 1945. ↑ Kynaston, David. Austerity Britain 1945–1951. ↑ "The Labour Government 1945–51 – The Welfare State: Revision, Page 11". bbc.co.uk. Retrieved 25 March 2016. ↑ "The Cabinet Papers | Farming and the Agriculture Acts". Nationalarchives.gov.uk. Retrieved 2 October 2011. ↑ Self, Peter & Herbert J. Storing. The State and the Farmer. ↑ Alston, J.M. ; P.G. Pardey; V.H. Smith (1999). Paying for agricultural productivity. International Food Policy Research Institute. p. 181. ISBN 9780801861857 . Retrieved 5 October 2014. ↑ "Livestock Rearing Act 1951 (c. 18)". legislation.data.gov.uk. Retrieved 5 October 2014. ↑ Midmore, P.; R. J. Moore-Colyer (2006). Cherished Heartland: Future of the Uplands in Wales. Institute of Welsh Affairs. ISBN 9781904773061 . Retrieved 5 October 2014. ↑ Hopkins, Eric. Industrialisation and Society: A Social History, 1830–1951. 1 2 "Next steps in education" . Retrieved 9 January 2016. ↑ "Education Policy" . Retrieved 9 January 2016. ↑ "The Home Front in Britain" . Retrieved 9 January 2016. 1 2 Jefferys, Kevin. The Labour Party since 1945. ↑ Hartley, Cathy. A Historical Dictionary of British Women. ↑ Pelling, Henry & Alastair J. Reid. A Short History of the Labour Party. ↑ Oddy, Derek J. From Plain Fare to Fusion Food: British Diet from the 1890s to the 1990s. ↑ Tomlinson, Jim (1997). Democratic Socialism and Economic Policy: The Attlee Years, 1945–1951. Cambridge, UK: Cambridge University Press. p. 244. ISBN 9780521892599 . Retrieved 21 July 2012. ↑ Smith, D. (2013). Freedom and Faith: A Question of Scottish Identity. St. Andrew Press, Ltd. p. 54. ISBN 9780861538133 . Retrieved 5 October 2014. ↑ Hodge, B. & W. L. Mellor. Higher School Certificate History. ↑ "Powered by Google Docs". Google. Retrieved 2 October 2011. ↑ Gillard, Derek. "Education in England – Timeline". 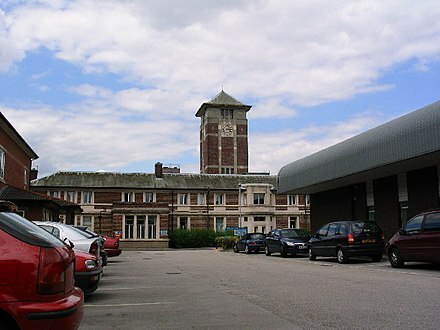 educationengland.org.uk. Retrieved 5 October 2014. ↑ Beech & Lee 2008. ↑ Thompson, David. 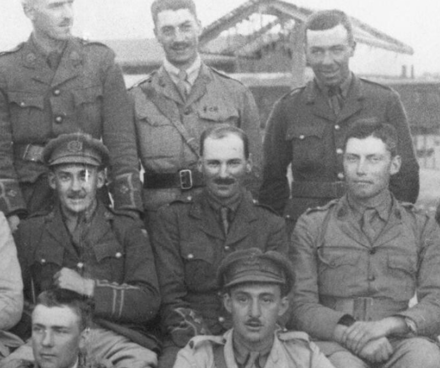 England in the Twentieth Century (1914–63). ↑ "Pension and Widows' and Orphans' Funds" . Retrieved 9 January 2016. ↑ Sandbrook, Dominic (9 January 2010). "Winter of 1947". Jubileeriver.co.uk. Retrieved 20 March 2013. ↑ Michael Foot (2011). Aneurin Bevan: A Biography: Volume 2: 1945–1960. Faber & Faber. p. 75. ↑ Smith Raymond, Zametica John (1985). 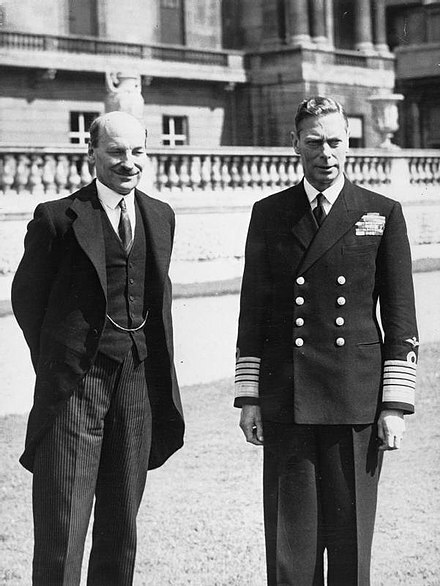 "The Cold Warrior: Clement Attlee reconsidered, 1945–7". International Affairs. 61 (2): 237–52. doi:10.2307/2617482. ↑ Gordon, Yefim. Mikoyan–Gurevich MIG-15: The Soviet Union's Long-Lived Korean War Fighter, Midland Press (2001), ISBN 978-1857801057. ↑ Morgan 1984, ch. 6; Thomas-Symonds 2012, pp. 2–4, 127. ↑ Frank Field (2009). Attlee's Great Contemporaries: The Politics of Character. Bloomsbury. p. 38. ↑ Deery Phillip (1998). "'A Very Present Menace'? 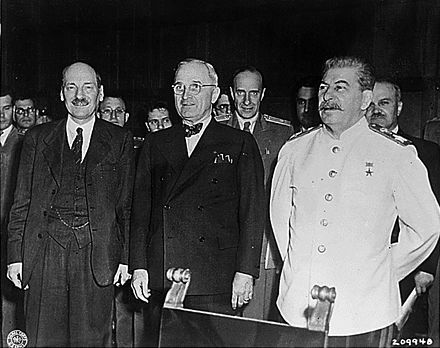 Attlee, Communism and the Cold War". Australian Journal of Politics and History. 44 (1): 69–93. doi:10.1111/1467-8497.00005. ↑ David Wilsford (1995). Political Leaders of Contemporary Western Europe: A Biographical Dictionary. p. 21. ↑ Nicholas Owen, "Attlee governments: The end of empire 1945–51." Contemporary British History 3#4 (1990): 12–16. ↑ John Bew (2017). Clement Attlee: The Man Who Made Modern Britain. Oxford UP. pp. 186–187. ISBN 978-0-19-020340-5. ↑ Arthur Herman, Gandhi & Churchill: The Epic Rivalry that Destroyed an Empire and Forged Our Age (2008) pp 321–25. ↑ Robert Pearce (2006). Attlee's Labour Governments 1945–51. Routledge. pp. 94–95. ↑ Bew, Clement Attlee (2017) p 433. ↑ F.W.S. Craig, ed., British General Election Manifestos: 1918–1966 (1970) p 105. ↑ Herman, Gandhi & Churchill (2008) p 486-95. ↑ Harris, Attlee (1982) pp 367–69. ↑ Andrew Roberts, Eminent Churchillians (1994) p 78. ↑ Kenneth Harris, Attlee (1982) pp 362–387. ↑ Irial Glynn, "‘An Untouchable in the Presence of Brahmins’ Lord Wavell's Disastrous Relationship with Whitehall During His Time as Viceroy to India, 1943–7." Modern Asian Studies 41#3 (2007): 639–663. ↑ Moore R. J. (1981). "Mountbatten, India, and the Commonwealth". Journal of Commonwealth & Comparative Politics. 19 (1): 5–43. doi:10.1080/14662048108447372. ↑ Yasmin Khan, The Great Partition: The Making of India and Pakistan (Yale UP, 2005) pp 6, 83–103, 211. ↑ Peter Lyon (2008). Conflict Between India and Pakistan: An Encyclopedia. ABC-CLIO. p. 19. ↑ Paul H. Kratoska (2001). South East Asia, Colonial History: Peaceful transitions to independence (1945–1963). Taylor & Francis. 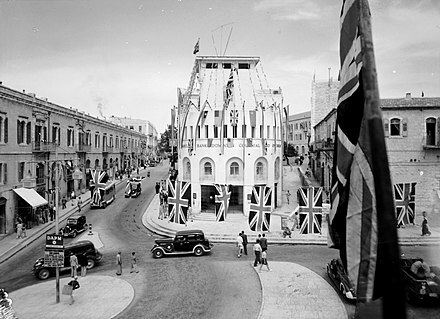 ↑ Ellen Jenny Ravndal, "Exit Britain: British Withdrawal From the Palestine Mandate in the Early Cold War, 1947–1948." Diplomacy & Statecraft 21#3 (2010): 416–433. ↑ Kelemen Paul (2007). "Planning for Africa: The British Labour Party's Colonial Development Policy, 1920–1964". Journal of Agrarian Change. 7 (1): 76–98. doi:10.1111/j.1471-0366.2007.00140.x. ↑ Hyam Ronald (1988). "Africa and the Labour government, 1945–1951". Journal of Imperial and Commonwealth History. 16 (3): 148–172. ↑ "1950: Labour majority slashed". BBC News. 5 April 2005. ↑ Morgan 1984, pp. 409–461. ↑ H.G. Nicholas, The British general election of 1950 (1999). ↑ Morgan 1984, p. 460. ↑ Robert Leach; et al. (2011). British Politics. Palgrave Macmillan. p. 129. ↑ Robert Crowcroft and Kevin Theakston. "The Fall of the Attlee Government, 1951." in Timothy Heppell and Kevin Theakston, eds. How Labour Governments Fall (Palgrave Macmillan, 2013). pp 61–82. ↑ Brian Harrison (2009). Seeking a Role: The United Kingdom 1951—1970. p. 166. ↑ Speech in the House of Lords on the British application to join the Common Market (8 November 1962). ↑ "Prime ministers' funerals from Pitt to Heath". BBC. Retrieved 4 September 2016. ↑ "Clement Attlee". Find a Grave . Retrieved 13 February 2017. ↑ "Earl Attlee's Remains Interred Aka Service Of Memorial And Burial For Earl Attlee (1967)". Youtube. British Pathe. Retrieved 18 July 2017. ↑ Anthony Howard - Clement Attlee: the greatest Prime Minister of 20th century (20/41), video on YouTube. ↑ "Clement Attlee (excerpts from M, Thatcher in primary sources section towards bottom)". spartacus educational. Retrieved 2 August 2017. ↑ Tanner, Duncan; Pat Thane & Nick Tiratsoo. Labour's First Century. ↑ Peter Hennessy, Cabinets and the Bomb, Oxford University Press, 2007. ↑ Lloyd Lorna (1997). "Britain and the transformation from empire to Commonwealth: The significance of the immediate post‐war years". The Round Table. 86 (343): 333–360. doi:10.1080/00358539708454371. ↑ "Rating British Prime Ministers". Ipsos MORI. 29 November 2004. Archived from the original on 12 September 2011. Retrieved 2 October 2011. ↑ "ATTLEE, RICHARD CLEMENT (1883–1976)". English Heritage. Retrieved 5 August 2012. 1 2 Bridges, Lord (1968). 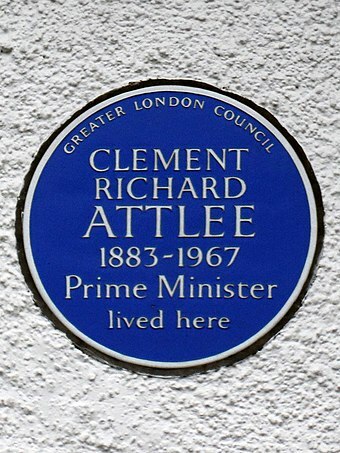 "Clement Richard Attlee First Earl Attlee. 1883–1967". Biographical Memoirs of Fellows of the Royal Society . 14: 15–36. doi:10.1098/rsbm.1968.0002. JSTOR 769437. ↑ The Times, 16 December 1948, p. 3. ↑ "December03". Btinternet.com. 30 November 1988. Retrieved 2 October 2011. 1 2 "Vandalised Attlee statue being moved to safety". East London Advertiser. 12 November 2009. Retrieved 3 August 2017. ↑ "Harold Wilson". Number 10. Archived from the original on 11 October 2011. Retrieved 2 October 2011. ↑ "Lord Mandelson joins Lord Hennessy to unveil Clement Attlee statue". Queen Mary University of London. Archived from the original on 18 August 2011. Retrieved 8 July 2011. ↑ "Artwork - Clement Attlee, 1st Earl Attlee". UK Parliament. Retrieved 4 January 2019. ↑ Cracroft's Peerage. "Attlee, Earl (UK, 1955)" . Retrieved 26 June 2017. 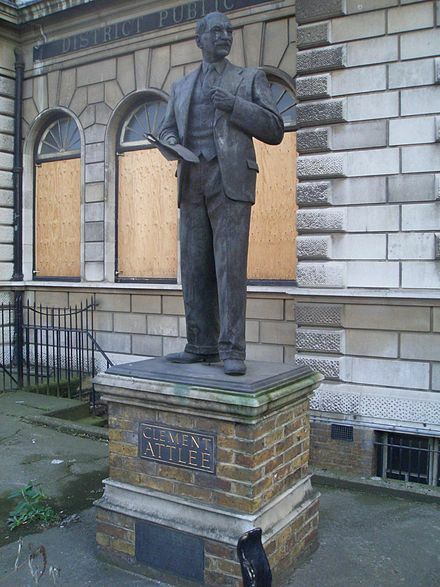 Wikimedia Commons has media related to Clement Attlee .